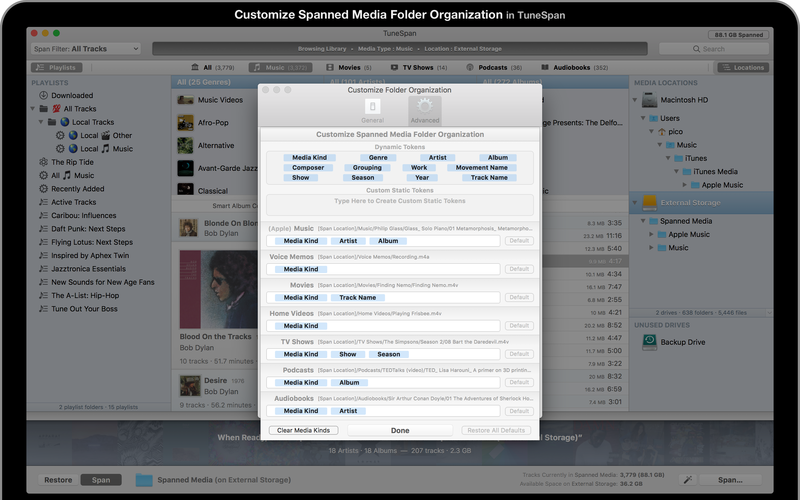 To span your media means to distribute the files in your iTunes Library across multiple drives. What does TuneSpan do? 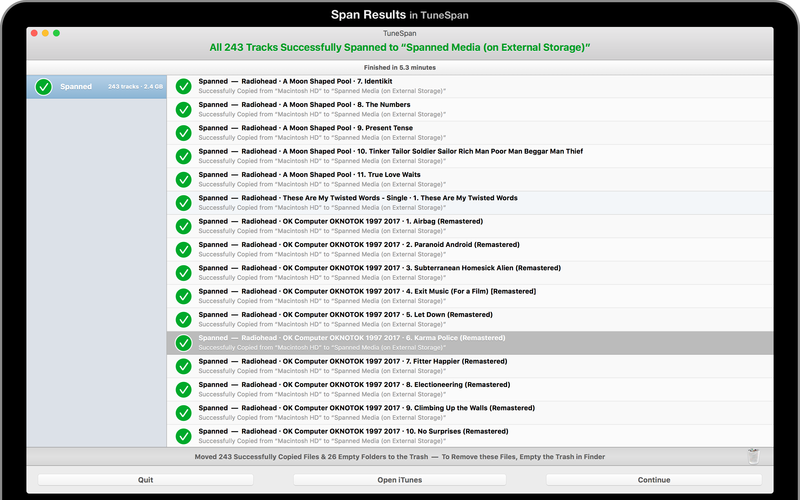 Why do I need TuneSpan? How do I use TuneSpan? 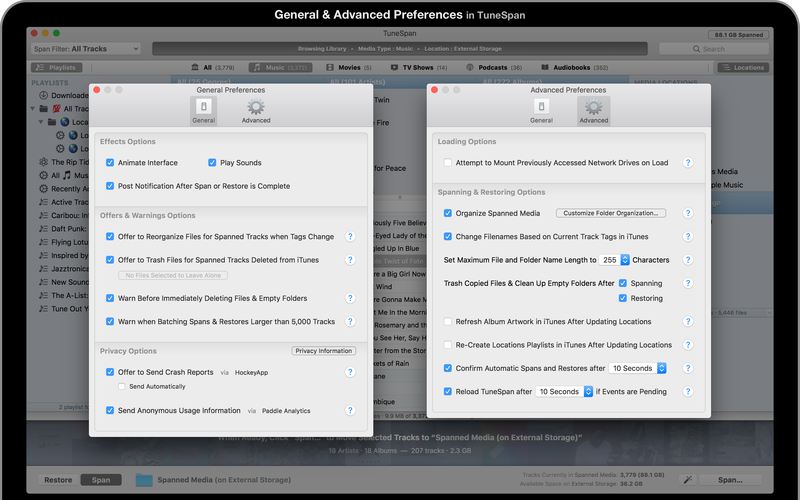 How does TuneSpan work? Is there anything TuneSpan can't span? You can relocate content to multiple hard drives to free up space on your primary drive. With TuneSpan, you can continue to see, play, and sync everything in iTunes, regardless of file locations. and a must-have download if you use a laptop or find yourself generally tight on space. […] I’ve had to struggle with organizing all my files, juggling increasingly large hard drives to store them. Until I discovered [TuneSpan]. 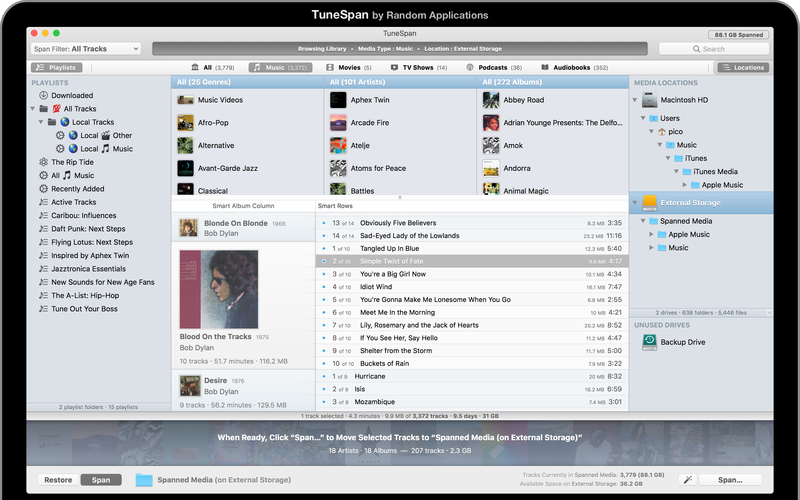 TuneSpan was the iTunes utility that I had long been looking for. 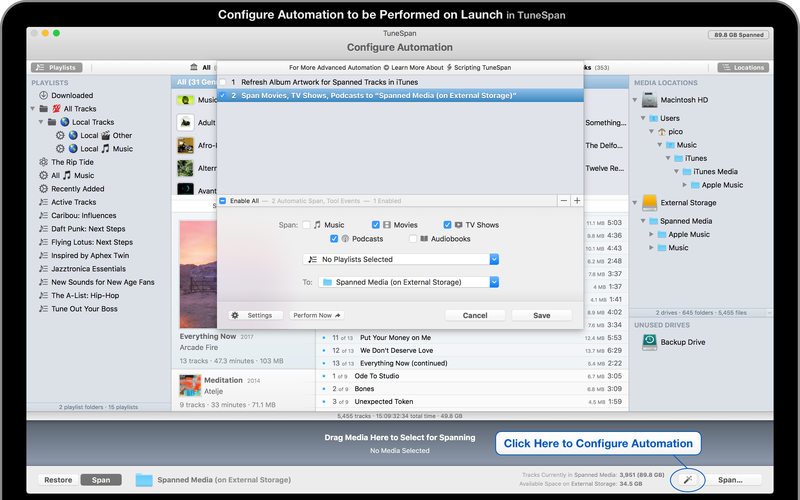 and sync everything in iTunes as you normally would. 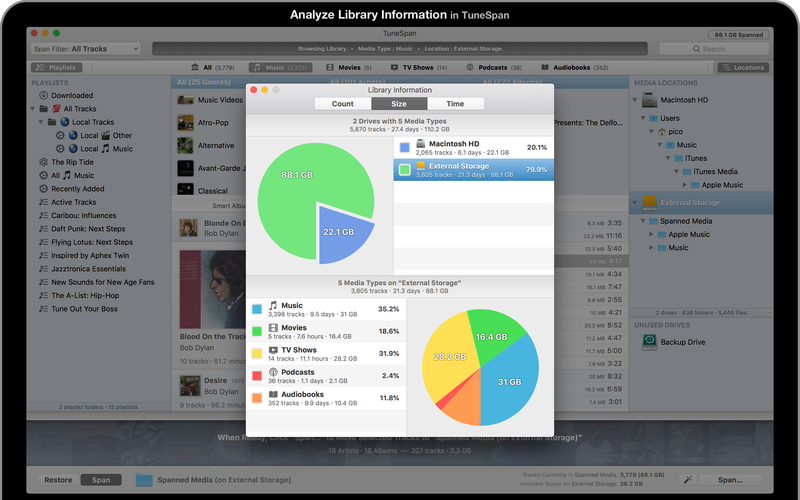 allowing you to store everything in your iTunes Library, but not in your iTunes Media folder. 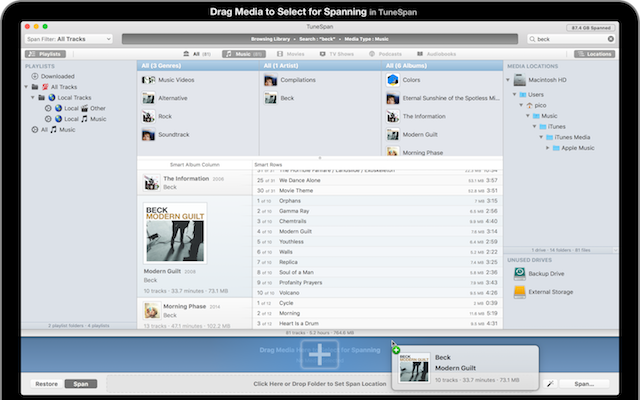 listen to very often to an external drive and just plug it in when you want to access the files. 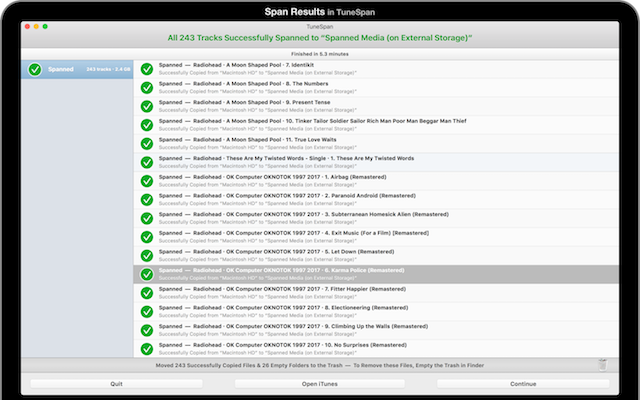 TuneSpan has really been a key application, and will continue to be, in my disk space management. manage all of that content in a simple, smart way, while still keeping it all very accessible.